This magnified view reveals the details of the head of the optic nerve which connects the eye to the brain. 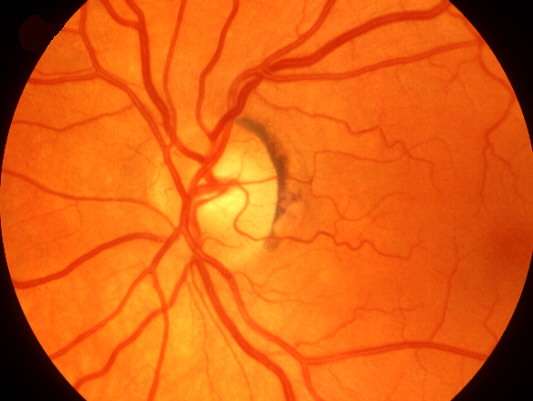 Arteries and veins radiating from the center of the disc help to supply the retina with nutrition. Copyright © 1996, 1999, The Collaborative Ocular Melanoma Study. All rights reserved.